Comments: Orient produces very large fruit that has white crispy flesh, unfortunately it never becomes mellow and soft. 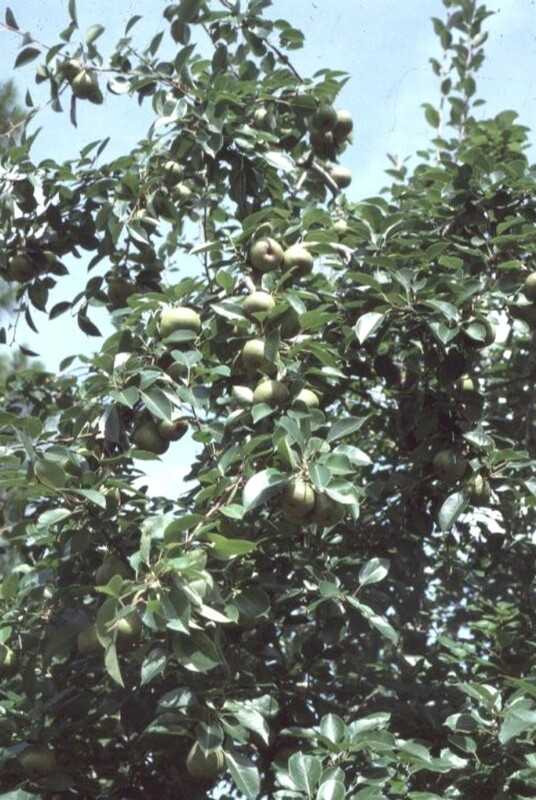 It is used as a cooking or canning pear and to make pear butter. It is only slightly susceptible to fire blight. Some say the blossoms are fragrant. They do have an odor, but we do not find it to be a pleasing one.